This isn’t what you would call an extensive update. The XE23 release notes consist of just two items: "bug fixes and performance improvements," as well as the addition of Bluetooth connectivity that allows Glass to be paired with input devices such as mice and keyboards. The news comes just a few days after Android Police reported an update to the MyGlass companion app. It allows notifications to appear on both Android Wear devices and Glass at the same time, lets users ignore battery optimizations, and makes the app compatible with more recent versions of Android. 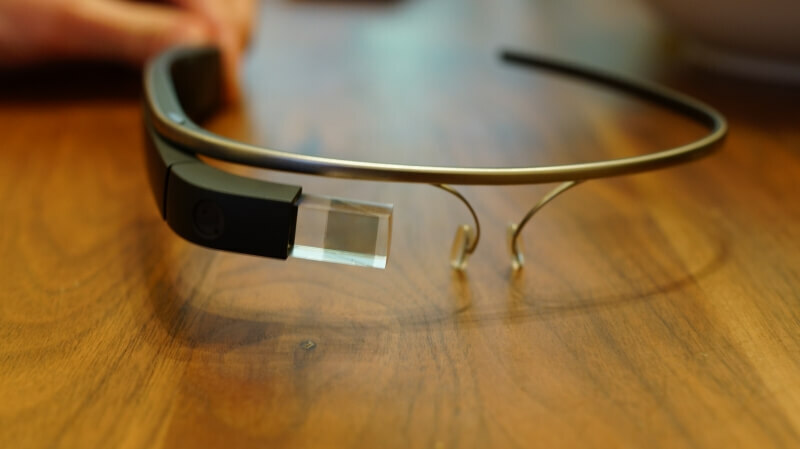 Google Glass was heavily promoted when early adopter “Glass Explorers” paid $1500 for the device in 2013. But privacy and security concerns, the fact it was very conspicuous on a person’s face, and confusion over why people should even buy a pair led to the end of the Explorer Program open beta and Glass website in 2015. Google said at the time it had "graduated" Glass from the Google X labs, and started moving it toward the enterprise market. In January last year, Google Glass’ social media accounts, which included Twitter, Instagram, and Google+ were shut down, all but erasing most people's memory of the headset. And while there have been rumors of a new version - images from an FCC filing were published in 2015 - we've heard no official announcements. Whether the new update is just a case of “better late than never,” or if Google has something else up its sleeve, is unclear.